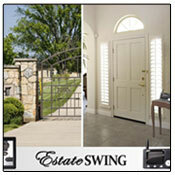 When it comes to driveway gates, gate openers and gate opener accessories Estate Swing is the brand to know. Our products serve the residential, farm and light commercial markets. With a diverse collection of access control items, Estate Swing helps the end user achieve a complete system that specifically meets the needs and demands of their property. At the forefront of this brand's mission is quality design, long lasting performance and built-in safety measures. Estate Swing Driveway Gate Collection made from extremely durable 061-T6 wrought aluminum alloy and powder coated for a smooth black finish. 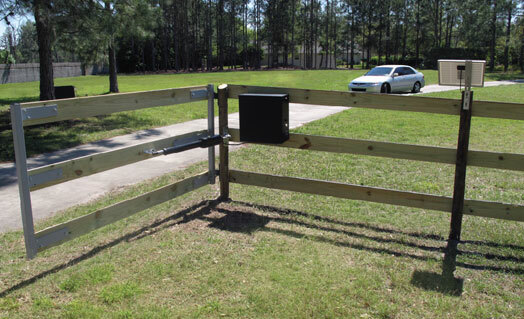 Full gate opener product line to support swing or slide gates from residential, farm/ranch and light commercial. Including specialty operators such as underground openers. 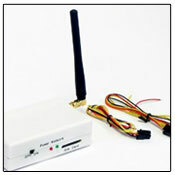 Complete line of communication, access control and safety gate opener accessories. "Gate openers built to professional standards"
"Floats like a feather, works like a champ"
Learn more about where to buy these product lines or contact us for information on how to become an Estate Swing distributor. 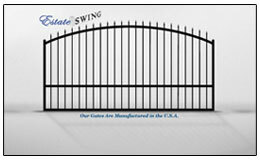 Estate Swing brand gates, gate openers and gate opener accessories can be found online from authorized resellers and in stores. Learn more about where to purchase Estate Swing brand products and view our approved list of retailers. Got questions? We've got the answers. Discuss the Estate Swing product line with one of our knowledgeable U.S. based experts. Contact us via e-mail or call us for further info. 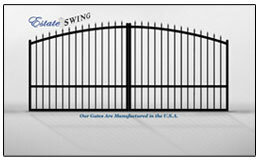 Estate Swing is a leading brand of driveway gates, gate openers and accessories. Our mission focuses on bringing innovative safety centric products to the market. 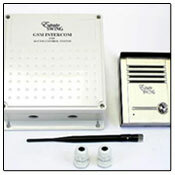 Learn more about us and our product lines . . . . .